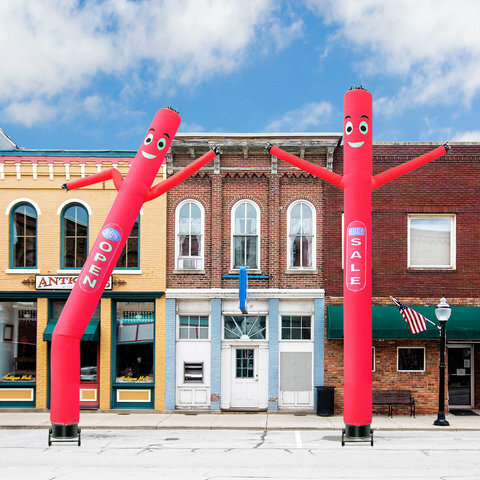 Rent 20ft inflatable air dancing inflatable for store advertising and promotions. Our 20 ft inflatable puppet dancer is an innovative promotional product to get your business noticed. It comes with a powerful angle adjustable blower. This inflatable puppet dancer is designed to be used for small business advertising and promotion or any small business. Our inflatable tube man is equipped with 2 removable "OPEN" & "SALE" attachments. Draw more customers in with its dancing and bring the desired attention to your attraction or business.